Nowadays we talk a lot about Continuous Delivery (CD), and there is a good reason for that. In the same way that developing code driven by tests was a defining change in the past few years, the practice of releasing new versions of a system continually is becoming the next big thing. However, though there are a lot of tools to help you implement CD, it is no simple task. In this post I’ll walk you through how the team I’m on is implementing CD using automation as the first step to our goal. Initially, the deployment process on the project was basically manual. Although we had a document with the task details, almost every time the deployment failed, it was necessary to have some experienced person identify issues and solve them. Besides that, the document changed at each iteration, to accommodate modifications to scripts that had to be run to fix issues. This made the process even more chaotic. Another big issue was that by being super fragile, the process was very time consuming and the deployment had to happen during a low system utilization period. Which meant that the team had to update the system with the new features at night. Final straw! The team decided to invest in improving this process. And when I say “the team” I really mean across all project roles, and not only the group of developers. We collectively researched what could be improved and how to implement the fixes. Working together with the project managers and the client was critical to providing senior management with visibility of the problem. It then stopped being a team issue and became a company-wide issue. To give a little bit of context about the project, the codebase is about 6 or 7 years old and was started with one of the first versions of the Rails framework. Today we are using Ruby 1.8 and Rails 2.3. The production environment is located in a private data center and has more than 20 boxes dedicated to run the web server, database and so on. All configuration changes are made by Puppet, which is run at every deployment. The team has a 3-week iteration and we deploy at the end of each iteration. The first step of improvements was to try to automate the deployment process. Depending on a manual process that is constantly changing was the biggest problem. We set off making the deployment to be as simple as running a one-line script. The automation started right from getting the Git tag for the correct version to be deployed to triggering specific scripts that had to be run at every iteration transparently. At the end of the first improvement phase, the team had a deploy script that with a simple command line would do all the system state validations, update the code and database and verify that it was in a consistent state. However, even with an automated script, the process was still unreliable. We often had to complete the deployment manually due to failures in the run. Then we started the second phase of improvements – we changed the entire deploy script, splitting the process into steps, where every step was atomic. Thus, in case of a failure we didn’t have to restart the whole process, just from the failed step onwards. This change helped reduce the complexity and made it a lot faster. We also investigated the common deployment issues and fixed them for good. The deployments that usually averaged 5 to 6 hours, with a maximum of 10 hours, were down to 2 hours at the end of the two improvement phases. The project and company management were thrilled and this further boosted the team’s morale. What is: Singleton is a design pattern that restricts the instantiation of a class to one object. The concept is sometimes generalized to systems that operate more efficiently when only one object exists, or that restrict the instantiation to a certain number of objects. When to use: This is useful when exactly one object is needed to coordinate actions across the system. The instance is not constructed until the class is used. There is no need to synchronize the getInstance() method, meaning all threads will see the same instance and no (expensive) locking is required. The final keyword means that the instance cannot be redefined, ensuring that one (and only one) instance ever exists. This is a very simple explanation, but helped me a lot. If you have some question, just write in the comments. See you in the next post ! Today I will post this video that I saw and help me a lot when I started to learn about Jmeter. I hope this video helps you too ! It is a little tutorial about how use Jmeter with Firefox and a plugin called Firebug to make a script of login page. HP LoadRunner 11.00 – Enhanced Reporting Capabilities – Customising your report. Hi guys, I found this video to help in customising our report in LoadRunner. I hope that it helps. There is no sound in the video. * Fully customizable report templates that allow you to control the content and format of a report. * Ability to exports the report to different formats, such as Word, Excel, PDF, or HTML for any reporting purpose. * Use of Analysis Session templates, to associate multiple report templates, each in a different time range. * Automatic report generation upon creation of Analysis data via standalone Analysis. Today I will show how identify all the tasks that are common in most of the test cases you automate in QTP. 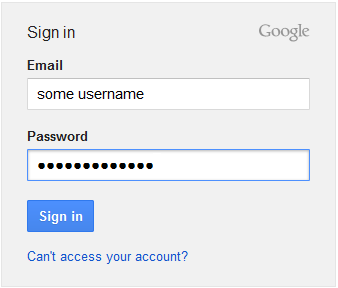 Like in Selenium, you have to identify the objects as unique, before entering the email id, you should know that which of the two text boxes in the Gmail Login screen is the ‘Email’ field. Once you correctly identify the email field, you can then enter email id in that field. Consequently, you should try to find out the unique properties which are available with that object only. QTP provides a unique mechanism using which you can identify the unique properties of the objects. This mechanism is called Object Spy. Along with this, QTP also provides a storehouse called Object Repository where you can store these objects together with their properties. Now, you can perform some actions in each control, like a button you can click and each control has your action. But if the field is a textbox or combobox ? So, you can click in the control and choose if you want to put some text/data or if you can choose the data in a list. 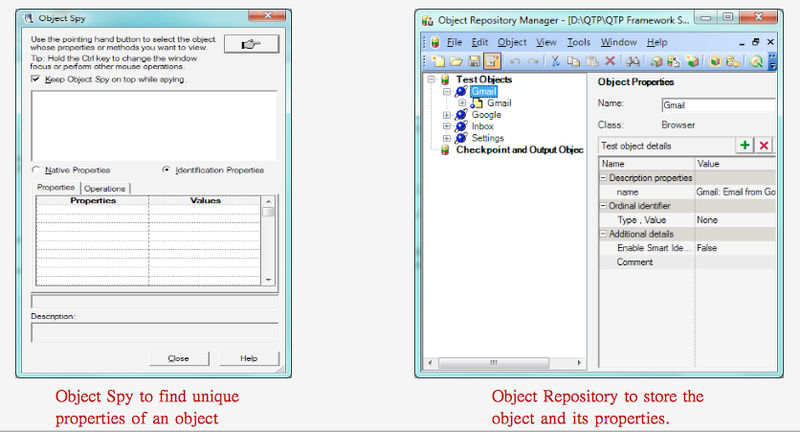 QTP has its own set of pre-defined function libraries that contain all the operations associated with different objects. QTP also provides an intelli-sense option where when you write an object in your code, QTP will automatically show all the functions and properties associated with that object. QTP has its own inbuilt mechanism called Data Table where you can save the test data and later use it in the test scripts. 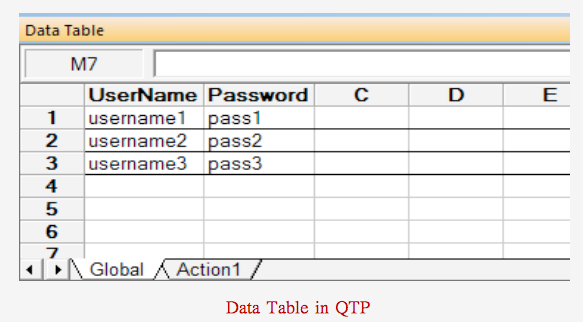 QTP provides its own set of functions using which you can retrieve data from the Data Table. Even if your data is stored in some external files such as Excel sheets or XML files, QTP provides you with many methods using which you can fetch data from these external sources. Like any language, you should need to combine all individual operations together and execute them. – Actions: Actions are one of the most common ways in which you can save code in QTP. You can save both reusable and non-reusable code in Actions. – Function Libraries: Function Library is another very popular method that you would use in almost all your QTP projects. Function Library is primarily used to store reusable code. – Business/Scripted Components: Though used less frequently, this is one more place where you can store your code. Very easy, isn’t it ? This is the basic to introduce QTP. If you have some doubt, you can to write below ! – Initialize your Behat project with vendor/bin/behat –init. Note: bin directories are configurable in composer.json. If your composer file has a bin directory, use that path instead of vendor/bin. – Add the step you want to create in your scenario, e.g. – Copy the step definition template to FeatureContext.php and replace the PendingException with your code.